1. The pump Assembly W115 I – single-stage. 2. 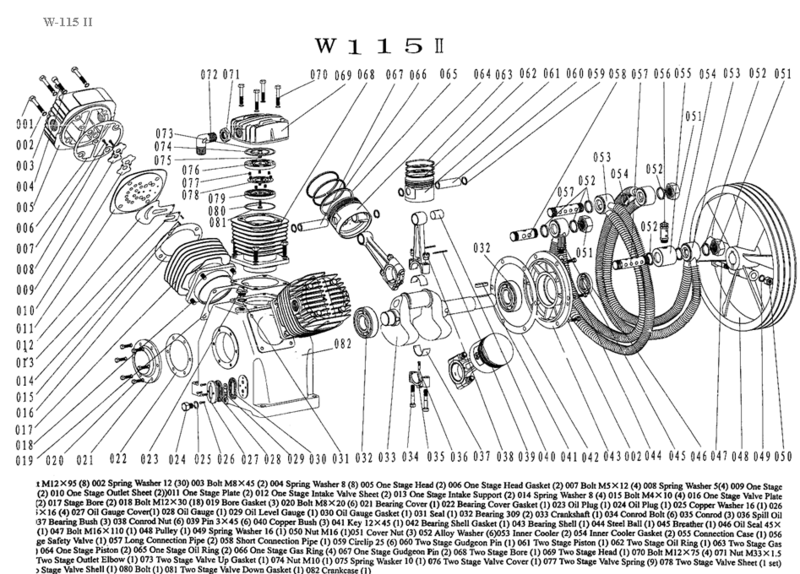 All three cylinder and piston group on a node of the pump W115 I corresponds to the cylinder and piston groups pump Assembly W115 II , the first stage of compression. 3. All cylinders in the pump Assembly W115 I are connected in parallel. When ordering spare parts for the pump Assembly W115 I ask to pay attention to it.